Macmillan. Paperback. B003AYY7T8 . Good. 1968-01-01. paperback / softback. Harcourt, Brace & World. Used - Good. 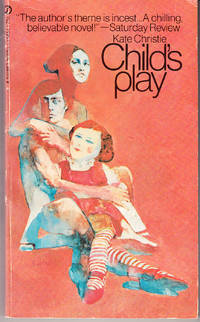 1969 Hardcover [1st American ed.] . 156 p. Former Library book. Shows some signs of wear, and may have some markings on the inside. New York: Signet, 1970 SIGNET NOVEL T451. Slight toning. Clean cover. 127 pages.. 1st Printing. Paperback. Good/No Jacket. 4"X7". Harcourt, Brace & World, Inc. Used - Good. Ships from Reno, NV. Former Library book. Shows some signs of wear, and may have some markings on the inside. 100% Money Back Guarantee. Shipped to over one million happy customers. Your purchase benefits world literacy!